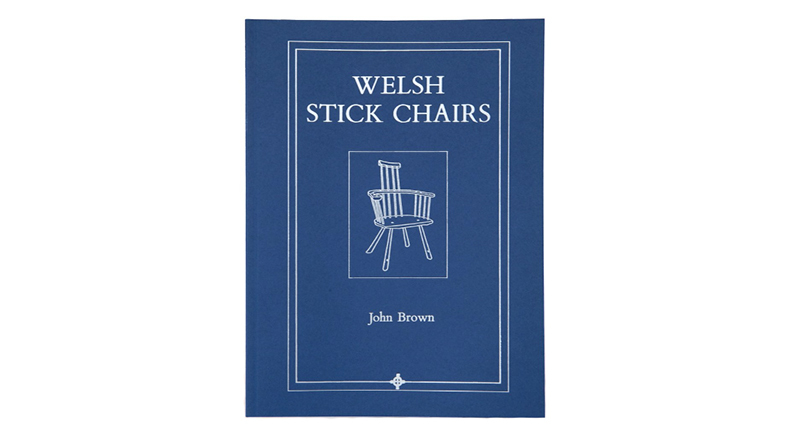 "Welsh Stick Chairs" by John Brown is a small but mighty book. At 104 pages long, this book can be read in an afternoon, but it has changed the lives of thousands of woodworkers all over the globe. John Brown (1933-2008) was a chairmaker in Wales who specialized in Welsh stick chairs, a vernacular form of furniture that was typically made by the end users. Compared to Windsor chairs, Welsh stick chairs are masculine, lively and even sometimes a bit aggressive. They are built with simple hand tools and (when made properly) are designed to last for hundreds of years. 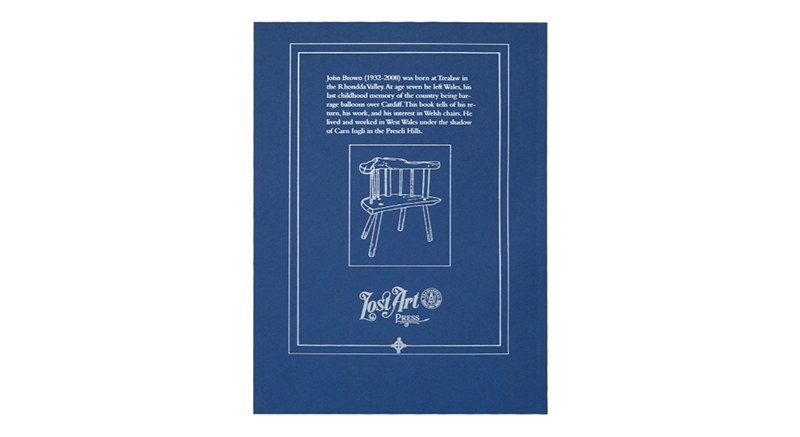 John Brown made hundreds of these chairs, and in 1990 he published a small book that explained how he made the chairs, plus some history of chairmaking in Wales and a critique of the Windsor chairs they were sometimes confused with. The book electrified woodworkers everywhere. Even those who weren't chairmakers were fascinated by John Brown's approach to the craft. His disdain for measured drawings. And his honest and forthright writing style. "Welsh Stick Chairs" has been out of print for some time. But thanks to the efforts of Matty Sears, one of John Brown's sons, and the rest of the heirs, Lost Art Press is pleased to present a beautiful and well-made edition of this important work. Using first-edition examples of "Welsh Stick Chairs," they reset the entire book in the original font to ensure the text was crisp. They rescanned and processed the photos and drawings and cleaned them up. And they spent weeks researching the paper stock of the original in order to capture the same earthiness and perfection of the first edition. This book has sewn signatures to ensure the book will last for lifetimes. Softcover, covered in heavy card stock like the original. The book measures 7-1/4" x 9-5/8". This version includes John Brown's original introduction to the book, plus the additional introduction he wrote for the third edition and an updated essay on John Brown by Nick Gibbs.